Posted August 16, 2011 in Big Barda, Mike Henderson. 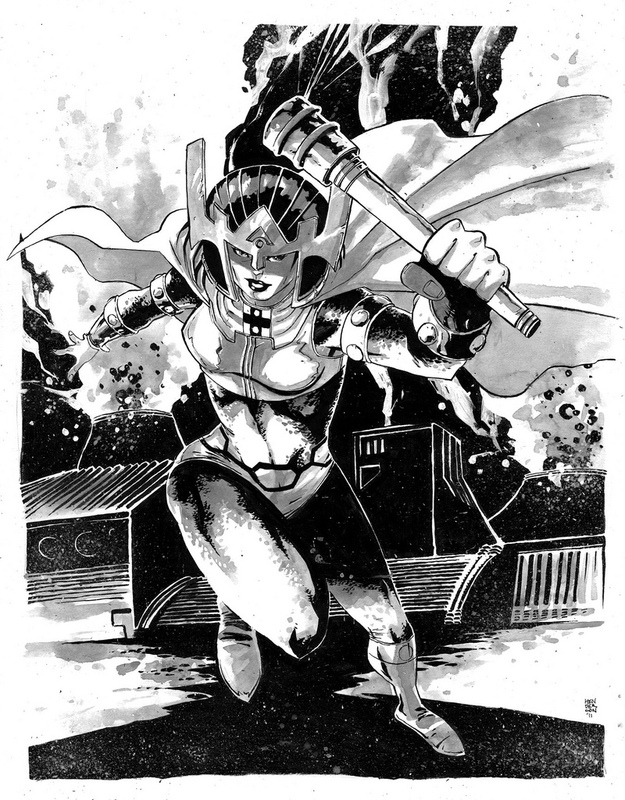 Presenting Big Barda, courtesy of Mike Henderson. 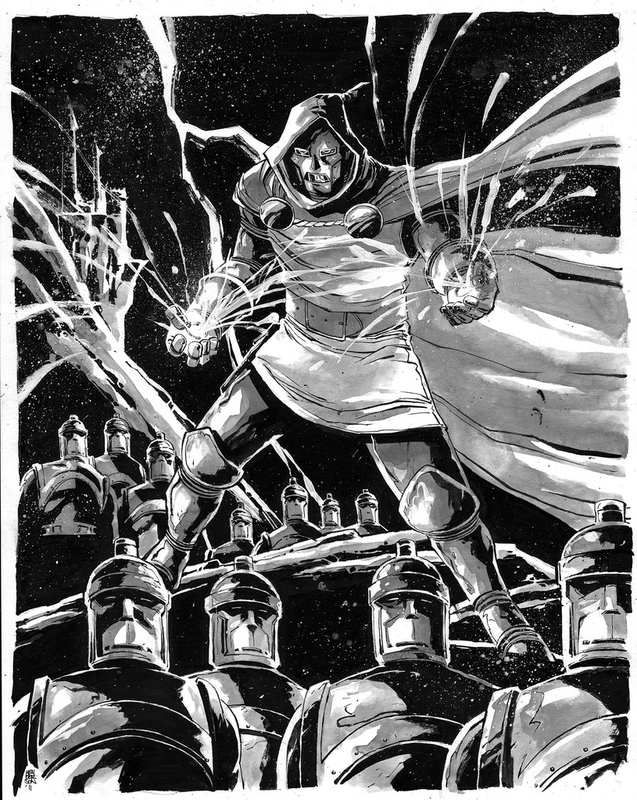 Posted July 8, 2011 in Doctor Doom, Mike Henderson. Doctor Doom – friend of the untied shoelace – courtesy of Mike Henderson. Posted June 2, 2011 in Darkseid, Mike Henderson. 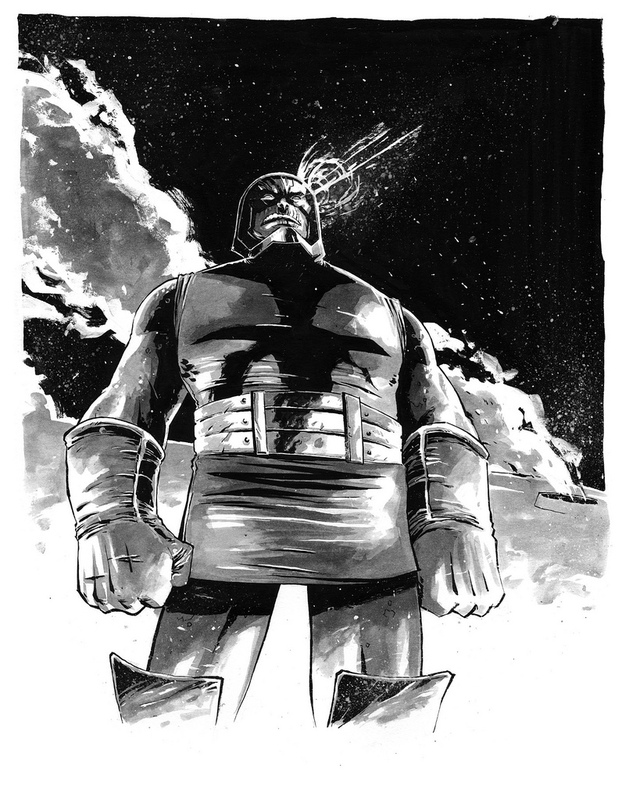 The Lord of Apokolips courtesy of Mike Henderson. A former student at the Joe Kubert School of Cartoon and Graphic Art, Mike is the co-creator of the graphic novels, Smuggling Spirits and Hexen Hammers. You can find more of Mike’s gorgeous black and white artwork at his Flickr page and blog.